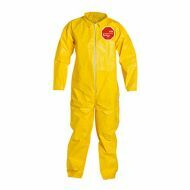 Yellow Polycoated Coverall with Standard Hood, zipper closure, elastic wrists and ankles. 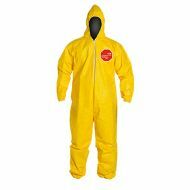 Yellow Polycoated Coverall with Standard Hood, zipper closure, elastic wrists and attached socks. 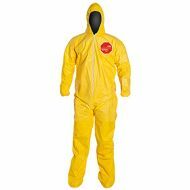 Yellow Polycoated Coverall, open wrists and ankles.